Club Coach is a unique program that is both challenging and rewarding, aimed specifically to improve Clubs with low membership and overall club health. 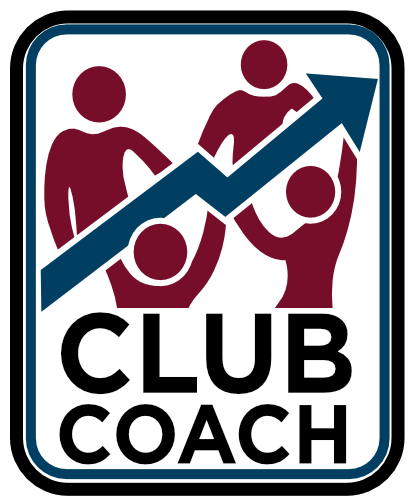 A Club Coach is trained to work with the club as a whole and reinvigorate the experience of being a club member. This program is designed alongside the Club Ambassador Program and, together, they are the cornerstones of District 101 Club Growth. Are you interested in helping such clubs? Do you think your club could benefit from a Club Coach? Do you have experience with rebuilding a club which only has a few members? Do you know how to help others to reach their potential? Maybe coaching a club might be for you! As a Club Coach, you will be assigned to a club with fewer than 12 members. You will help the current officers to rebuild the club, regain members, and become Distinguished. If you answered YES to at least one question above, Contact Faye Yang, Club Coach Chair 2018-19 at clubcoaching@d101tm.org. Existing Coaches: Please remember to fill out the Club Coach Visit Form after each visit to your club. Does your club have fewer than 12 members? Can your club use help from outside to regain strength, to get another point of view, and to help you organize better meetings? A Club Coach can provide that help. A Club Coach will work together with the officers and members of the club to come up with a plan to rebuild the club. The coach will assist the officers in implementing this plan to get the club to Distinguished level or higher. If your club has fewer than 12 members, it qualifies for a Club Coach. Talk with your officers about this. Have them contact Faye Yang, Club Coach Chair 2018-19, at clubcoaching@d101tm.org and request a coach!